Customize your tailored unstructured suit. An unlined blazer without padding, perfect for spring and summer days. Breathable and casual look for any occasions. An unstructured suit is perfect for warmer days. Cooler and breathable but yet tailor made. Lighter structure for your jacket to help you. A perfect choice for your cool wool, linen and cotton fabrics. 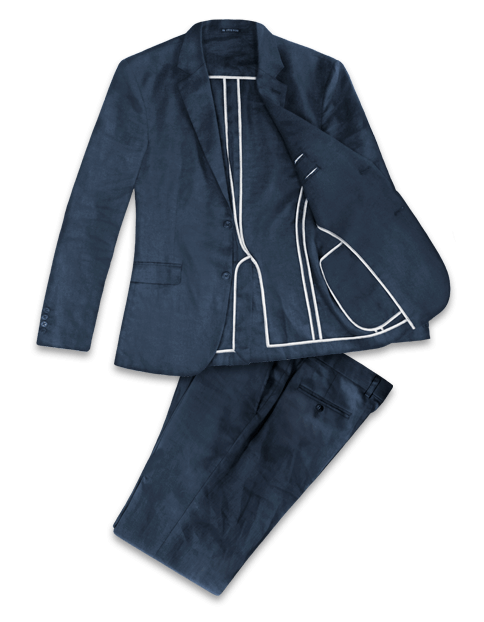 Design your made to measure Unstructured Suit to fit you perfectly. Breathable, Lightweight and Flexible fabrics to help you with your smart-casual outfits. Less construction, padding and lining so they're softer in the shoulder and more relaxed in fit.